Actress Kangana Ranaut was last seen in the film Manikarnika: The Queen of Jhansi, which saw her play the role of the epic character Jhansi Ki Rani Rani Laxmi Bai. 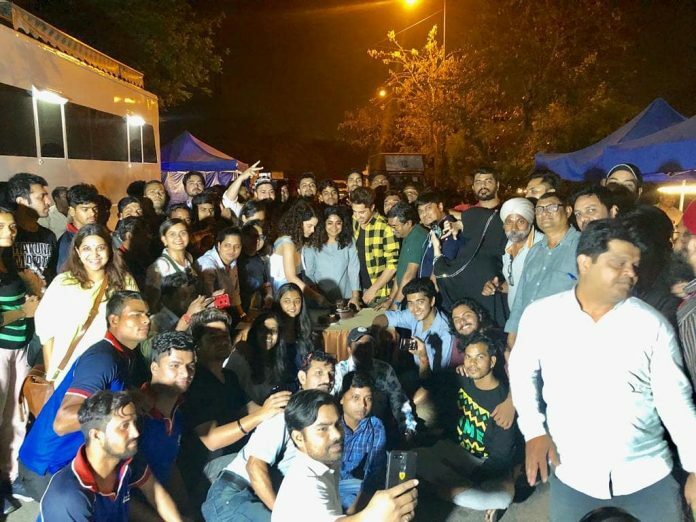 The actress recently wrapped one of the schedules of the upcoming film Panga in Delhi. Kangana and the team of Panga have completed the Delhi schedule of the flick. The actress took her Instagram account and shared the celebratory picture as they cut a cake. Reports say that the team will now shift to Kolkata for the next schedule of the film. Kangana will be seen playing the role of a Kabaddi player and is helmed by Ashwini Iyer Tiwari. The film also stars Jassi Gill and Neena Gupta playing important roles. Panga is due to be released in theatres on January 24, 2020. Kangana in a recent interview said that she will soon announce her next directorial venture which will be an epic-drama. The actress during the interview said that it has taken a lot of time and that they are at present putting everything in order. The script for the film is locked and they will soon be doing a photo shoot after which they plan to release a poster. The upcoming film will also be based on a real-life story.